Specific Questions Enhance an Interview not Detract from It! Improve your hiring by becoming a master of questioning. In nearly every meritorious missed cancer case there comes a time when the defendant’s attorney, losing on the facts, considers use of The Doubling Time Defense. By that time, the Plaintiff has already shown beyond doubt that the defendant physician had a Duty to take care of the patient and that there probably was a Breach of the Standard. Is the defendant guilty? Is the defendant suffering from a mental health malady that prohibits him from understanding the nature of the crime? 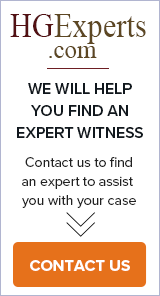 Is the defendant able to consult with a lawyer and fully understand the charges against them? Amendment to Federal Rules of Civil Procedure—Are YOU prepared? Under a recent Amendment to Federal Rules of Civil Procedure (Rules 16 & 26) ALL U.S.-based companies are required to archive ALL email, instant messenger conversations, and electronic documents for use in court if a company is ever sued. Provided by: Talbott Associates, Inc.
Failure analysis determines the root cause of failure. The information presented in the failed component allows a company to reduce the possibility of re-occurrence. This paper will discuss failure analysis in general terms. Provided by: Fritz R. Kahn, P.C. The proposed merger of the DM&E into the Canadian Pacific and its entry into the coal rich Powder River Basin of Wyoming is sure to be opposed by the Union Pacific and BNSF, which now alone originate coal shipments there. The dispute will need to be resolved by the Surface Transportation Board. If the transaction is approved, the rates for transporting coal are likely to be reduced, favoring the construction of coal fired electric generating stations. As long as home prices continued to increase at a blinding rate, there was no reason for the lenders to worry about the security for the loan they approved and funded. Now, in a very different market environment, they find themselves facing mass defaults on loans and very angry homeowners who say that the loan underwriters deceived them when they allowed them to purchase homes for which they were clearly unqualified. Forensic Science - Fake Fingerprints? Fingerprint evidence has widely been thought to be irrefutable in court. Things aren't always as they appear to be. Rules change is forcing organizations to establish processes for archiving, retrieving and handling data for evidentiary purposes. Forensic Science - Erroneous Handwriting Opinions? Sometimes corners are cut when utilizing forensic science to "solve" an issue at hand. This can lead to life affecting mistakes as well as expensive blunders. It is important to utilize all the tools available in order to reach a valid forensic opinion. Like any field, forensic science has both good and bad practitioners. If analysis results are based on science, and science is exact, then how can there be opposing experts in litigations? The growing shortage of nurses in the United States as well as in California has been well publicized over the last few years. In response, numerous studies have been conducted to identify the causes, analyze the issues and determine solutions. Do you need a mental health expert in your corner? Mental health and the justice system have been working side by side for decades. Forensic Mental Health Professionals have been called upon to evaluate and/or assist in many cases over the years. Provided by: HSE Solutions, Inc.
Hispanic constructions workers are increasing but in many cases without proper safety enforcement and training. There is a need for more Spanish speaking OSHA instructors and inspectors to fill the void. Has MSHA Lost Its Will To Enforce? This article deals with the lack of strong enforcement of MSHA safety regulations which may have played a role in recent mining disasters. The author has over 35 years experience in safety with 10 years as an MSHA engineer and inspector. Institutionalization of HSE is not widely discussed but is the highest level of achievement that HSE performance can achieve. It means that HSE has become part of the corporate culture and is the way "we do business". It has become as natural as breathing. This paper discusses how an organization can achieve this lofty level of success. It is not an easy road but when achieved is well worth the effort. This article outlines my experience in transforming a former Soviet Republic oil company's HSE program from a poor performer to an industry best performer using tried and proven principles. The use of risk assessment principles is key to an effective and successful safety program. This article provides a basic introduction to risk assessment by utilizing a simple example involving a car crash. When these simple elements are introduced into a work place, accidents reduce and the severity of the accidents also reduce. Provided by: Pogos H. Voskanian, M.D. My dilemma revolved around limitations pertaining to the original document bearing the questioned signature: time and location. In the Armstrong v. LaSalle Bank National Association decision on a motion for summary judgment, the trial court found in favor of the defendant trustee’s decision to accept an employer stock valuation that did not include a discount for lack of marketability. The plaintiff appealed the unfavorable trial court decision to the Seventh Circuit. While recognizing an ESOP trustee’s discretion in employer stock valuation matters, the Appeals Court reversed the summary judgment decision. In litigation controversies related to the income tax deduction of shareholder/executive compensation as a business expense, the courts generally apply a multi-factor test to determine if the compensation is reasonable. The courts apply this test with an emphasis on the perspective of a hypothetical independent investor. In this analysis, the extent to which the courts accept and rely on compensation data from published compensation surveys and/or from comparable company analyses varies. There is a split in authority in the federal courts regarding the discoverability of attorney work product provided by counsel to his or her expert and in particular, the discoverability of draft expert reports. Most jurisdictions have ruled that the 1993 amendment to the Federal Rules of Civil Procedure makes it clear that any materials provided by counsel to a testifying expert is discoverable, including information contained in draft reports. Trial judges perform a “gatekeeping” function, deciding whether to admit or to exclude expert witness testimony as trial evidence. Trial judges often apply the four factors articulated in the Supreme Court Daubert decision in their judicial decisions regarding the admission of expert testimony. This discussion summarizes the evidentiary considerations regarding (1) the level of certainty in the causation of economic damages and (2) the level of certainty in the measurement of economic damages.